Excellent. Finally, a contemporary novel (of sorts) that is immensely entertaining and well written. Except that it is a modern book about old books – so this could be cheating. One of the things I liked was how writers and their works are incorporated into a modern exposition of parts of Batuman’s life. It is chock full of anecdotes and interesting bits and pieces. For example, Isaac Babel interrogates a captured American airman in July 1921 fighting with the Polish Kosciuszko squadron against the red army of which Babel was a part. This airman was Merian Cooper – creater of King Kong. On Cooper, Babel notes he finds the Piłsudski 4th of July proclamation (also mentioned in Babel’s Red Cavalry) and goes over aspects of his conversation with Cooper: Coffee, Conan Doyle and a Major named Fauntelroy are mentioned. Babel also notes in his diary the airman left a ‘sad heart-warming impression’. Cooper in a memoir makes mention of a Bolshevik who tried to have him join them as an aviation instructor nothing more. In this way a great deal of information is given and Batuman lays them out, sometimes finds links – other times she just leaves them as they are. As an aside, I decided I wouldn’t mind having a go at translating this proclamation by Piłsidski from the Polish, unfortunately I only finished a paragraph and it was all over the place. Firstly, my Polish isn’t good enough, and secondly, the language used was difficult. I then decided I would try and translate some Irzykowski – again difficult but for a different reason: the sentences went on and on and trying the get thread of what was being said was nigh impossible. Maybe attempting a modern writer may be a good interim measure while my Polish improves: shorter sentences and simpler words. Batuman’s prose is entertaining and having seen her on a panel at an event prior to London Book Fair earlier this year, she writes the way she talks. She mentions a contemporary of Pushkin’s who I had never heard of before – Ivan Lazhechnikov. 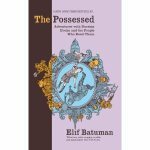 Batuman becomes interested in a novel of his, which doesn’t appear to have been translated ‘The House of Ice’. She then goes to St Petersburg to stay overnight in a modern model of the house of ice, which was originally built by the empress Anna for the wedding night of two of her diminutive court performers. Numerous happenings occur along the way and there are historical anecdotes galore. All good stuff. This book is great for people who have read a bit of Russian literature. Those who haven’t may not find it interesting at all. Now I need to read more Babel and try and track down Lazhechnikov. Soundtrack: Lloyd Cole – Writer’s Retreat. This entry was tagged Batuman; Elif. Bookmark the permalink.